Rest in peace deputy Sheriff Biles. What a hero! To fully appreciate the heroes of the present, we must recognize our heroes of the past. Your heroism and service is honored today, the 25th anniversary of your death. Your memory lives and you continue to inspire. Thank you for your service. My cherished son Larry Lasater was a fellow police officer who was murdered in the line of duty on April 24, 2005 while serving as a Pittsburg, CA police officer. I pray for solace for all those that love and remember you for I know that both the pain and pride are forever. Your family is in my heart's embrace. Rest In Peace. 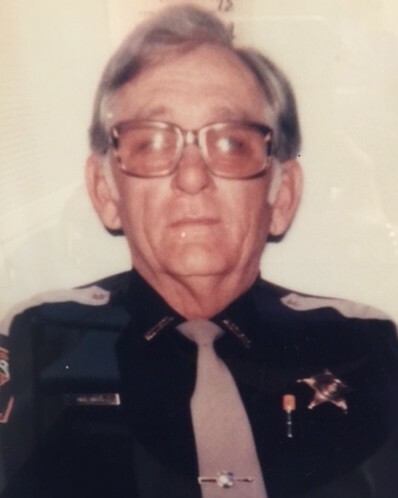 I joined the Morgan Co. Sherriff`s Office as a reserve in 1983, and served for 7 years before going fulltime. Deputy Biles was one of the first Deputies that I rode with and it was my great pleasure to learn from him, and to call him my friend. I still miss him after all these years. I recently semiretired after 21 years in Law Enforcement, and want to thank Deputy Biles and all the other officers that I have known over the years for what they have taught me. On the anniversary of his death, we pause to honor and remember Deputy Biles and acknowledge the ultimate sacrifice he paid. Our thoughts and prayers go out to his survivors. Rest in Peace, Deputy Biles. Your sacrifice is not forgotten. Thank you for your service and dedication. Your sacrifice will always be remembered. Your dedication to the people of Morgan County saved many lives the day you were so brutally fired upon. Thank you for all the young lives of those who were at school that day and for being a great man.